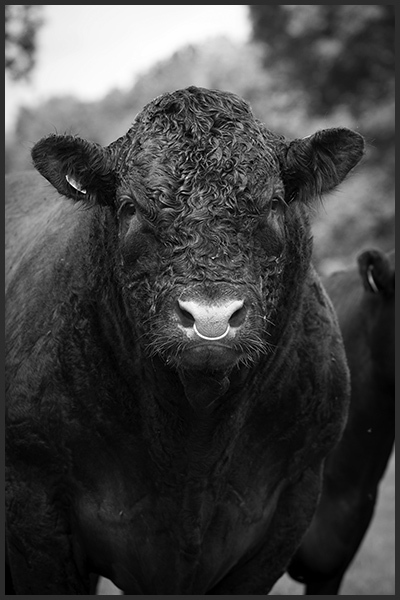 A big believer in the native breeds, we at Priorton have stayed true to the Devon for its hardy characteristics, medium size, ease of management and fantastic meat quality, the latter being one of the main reasons Devon beef is highly sort after by West Country butchers. 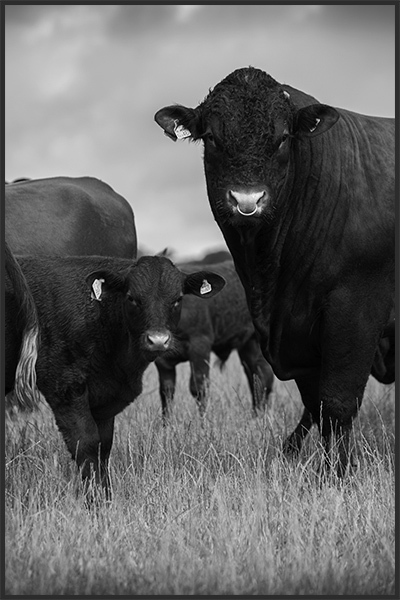 Priorton regularly supplies Philip Warren Butchers, Launceston, with prime Devon beef. 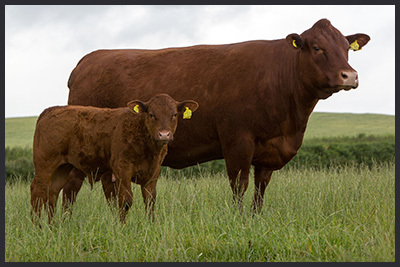 The late 70’s saw the introduction of the Salers breed to Devon genetics, with a view to adding extra frame and stretch to the carcass. 5 straws were offered by the Society to prominent members and Bill May used them within the Priorton herd on five of the best cows. Four calves hit the ground (three bulls, one heifer) with two bulls doing well in the MLC testing class at the Royal Show. Sadly, the heifer failed to breed. Noted lines in the herd include Show Girl, Show Lassie and Pretty Maid females. Show Girl 34 and Show Girl 56 going unbeaten in their show carers with a three year win on the bounce at The Royal Show in the late 60’s early 70’s and a Burke Trophy win in 1975 with Priorton Snowie 7th. 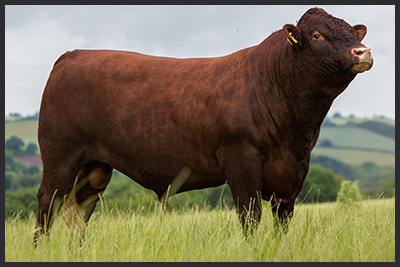 More recently, Priorton genetics have been behind the success of the breed record holder, the 20,500gns Yeomadon Ferdinand, a grandson of Priorton Universe. Priorton Universe, was Champion at the Premier Sale in 1974. 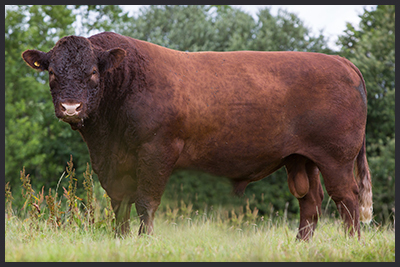 More recently we have purchased Boskenna Donal, a Ferdinand sired young bull, with the view of old and modern genetics working together in the herd. Running alongside Donal, and purchased for 4000gns, is Whitefield Mark My Word, who was reserve champion at the Society Sale in March 2014 at Sedgemoor. These bulls are of different types with Donal being a longer, cleaner, tight headed bull, whilst Mark My Word is a more traditional, natural fleshing bull, with plenty of breed character. 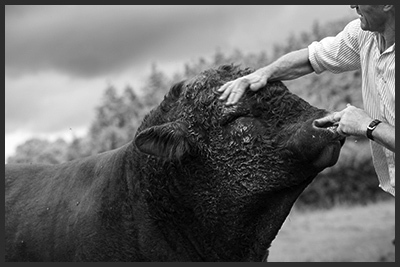 Both bulls have been successfully shown since their purchase, standing first and second in a strong two year old Devon bull class at Devon County Show 2014. Senior stock sire in the herd, having been purchased at four years old, is Dira Drum and Bass, a Thorndale Assariti son, who is leaving some impressive progeny on the ground. On a recent classification, the following bulls have been classified; Boskenna Donal VG86, Dira Drum and Bass VG85 and Whitefield Mark My Word as VG84. A large proportion of the cows have been classified around the VG80 mark with the best being VG88. Younger females will be classified in the autumn, further adding to the commitment we have to improve the herd. 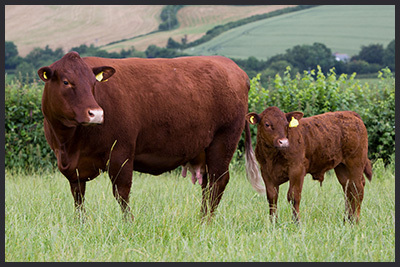 The last 25 years has seen the herd focus mainly on private sales at home, but the last 10 years has seen a resurgence of the breed, so with the herd steeped in history it is well placed to meet both the commercial and pedigree demand for the Devon breed and a greater focus is now being placed on shows and Society Sales. 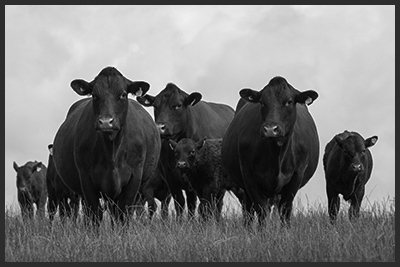 The herd is also Breedplan Preformance recording with ABRI. 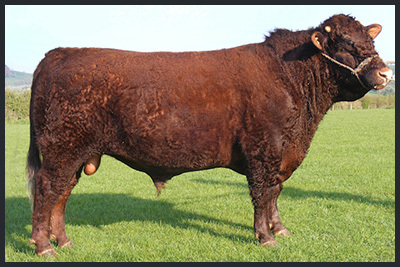 Priorton Nuclear, sold to the Rybury herd, Wiltshire.